A couple of teams that have started the new season strongly, the Boston Bruins and the Calgary Flames collide at the Scotiabank Saddledome for a cross-continent tilt. The action gets underway at 9:30 p.m. ET on Wednesday, October 17, and it’s being shown live on NBC Sports Network. Each side currently has an identical -110 moneyline for this one, and the Over/Under (O/U) is set at 6 goals. The odds for betting that total stand at -120 for the under and +100 for the over. 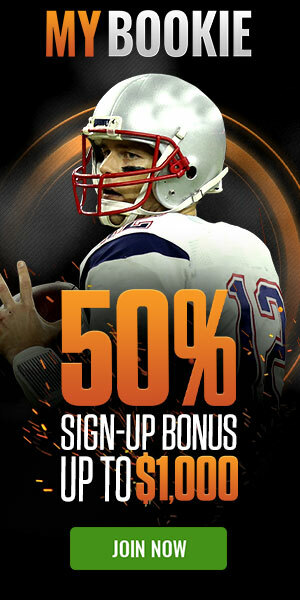 Boston is 4-1 straight up (SU) and has earned 3.0 units for moneyline bettors this season. That SU winning percentage, ranked fourth in the league so far in this young season, is an improvement compared to how the team performed last season (50-32). Three of its contests have gone over the total, while two have gone under. As an away team in 2018-19, the Bruins are 1-1 SU. The Bruins have impressively found the net on 41.7 percent of their power play chances thus far. That’s a noticeable step forward from last year, when they were ranked second in the NHL by converting on 25.0 percent of their extra-man advantages. Their penalty kill has fallen off drastically since last year, however, as they’ve gone from successfully defending 82.5 percent of opponents’ power plays (ranked fourth overall last year) to 68.8 percent this year. The Bruins, as a collective unit, have been whistled for penalties 5.4 times per game during the 2018-19 season, a number that’s regressed noticeably from the 3.8 penalties per game given up last year. After serving an average of 9.4 penalty minutes per game a season ago the team’s had to kill penalties for a taxing 14.2 minutes per matchup this year. Sporting a .961 save percentage and 24.3 saves per game, Jaroslav Halak (2-1) has been the best option in goal for Boston this year. If head coach Bruce Cassidy chooses to rest him, however, Boston might turn to Tuukka Rask (2-1), who has a .881 save percentage and 4.07 goals against average this year. The visiting Bruins have relied heavily on Patrice Bergeron and Brad Marchand this year. Bergeron (11 points) is up to five goals and six assists this season while Marchand has one goal and nine assists to his credit through the early phase of the regular season. Over on the other bench, Calgary is 3-2 straight up (SU) and has earned moneyline bettors 1.1 units this year. Through five regular season contests, three of its games have gone over the total, while two have gone under and none have pushed. The Flames have killed off a remarkable 80.0 percent of all penalties, compared to 81.9 percent in 2017-18 (when they were ranked seventh in the NHL). They’ve converted on 20.0 percent of their power plays this year after scoring on 16.0 percent (ranked 28th in league) last season. Calgary skaters have been penalized 4.2 times per game this season. Last year, that number was at 4.4, the second-highest mark in the league. After serving an average of 11.2 penalty minutes per game a year ago, the team has been forced to kill penalties for 9.4 minutes per matchup this season. Mike Smith (24.0 saves per game) has been the top netminder in goal for the Flames. Smith has two wins and two losses to his credit and has registered a mediocre 3.57 goals against average and a subpar .881 save percentage this season. Johnny Gaudreau (two goals, six assists) will lead the offensive attack for the hosts. The total has gone over in three of Calgary’s last five outings. Boston has managed 25.5 shot attempts per game over its last five road games while Calgary is averaging 37.0 shots per game over its last five at home. Boston skaters registered 24.3 hits per game last season, while the Flames logged 20.0 hits per contest. A couple of teams that have started the new season strongly, the Boston Bruins and the Calgary Flames collide at the Scotiabank Saddledome for a cross-continent tilt. The action gets underway at 9:30 p.m. ET on Wednesday, October 17, and it's being shown live on NBC Sports Network.